80 percent of Americans drink coffee, and global consumption is projected to rise by 25% in the next five years. Some is sustainably-grown, some isn’t—and impacts can add up. In this installment of 89.1 WEMU’s “The Green Room,” Barbara Lucas explores how the price of coffee can affect far more than your wallet. 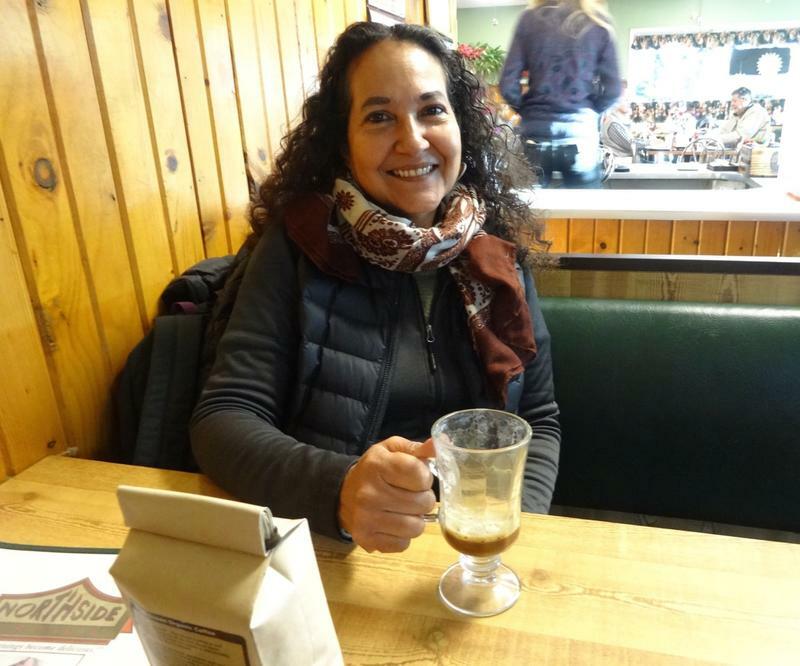 Barbara Lucas (BL): It’s morning, and I need a cup of coffee, so I head to Roos Roast, a coffee shop in Southtown, Ann Arbor. The coffee here isn’t cheap, but today I can give myself green points for remembering my travel mug! Barista: And you get 25 cents off for using your own mug! BL: A big part of the eco-footprint of any beverage is its container. Starbucks says their customers throw out 4 billion cups each year. That’s a lot of resources wasted! But what about the coffee that’s in my cup? I ask for a peak behind the scenes. Owners Kathy Weider and John Roos proudly show me their new Loring Roaster—they tell me it’s 80% more efficient than their previous roaster. Kathy Weider: They completely rethought how you roast coffee with this machine, it’s very innovative. It’s an investment—it’s not the cheapest way to go here! BL: So it saves energy, and they say it doesn’t pollute the air like their old roaster, either. Weider: Some people love the smell of the smoke and they miss it. BL: What’s this? " This is the chaff, the skin that is naturally on outside of the beans." 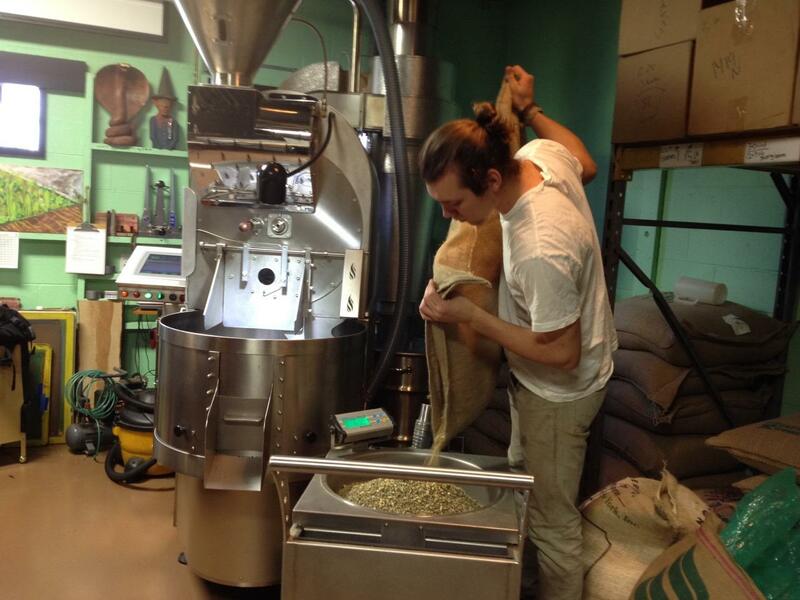 BL: That’s head roaster Grant Stewart. He says their old roaster burned off the chaff, but now it’s collected and coveted by area gardeners. Stewart: It’s really good for making the soil a little bit loamier. BL: OK, so by paying more, coffee can be roasted sustainably here in Michigan. What about how the coffee is grown, way down in the tropics? That’s the expertise of Dr. Yvette Perfecto of the University of Michigan, who shares a cup with me at the Northside Grill in Ann Arbor. Waiter: Can I get you guys some more coffee? . BL: She’s one of the first to study the ecosystem impacts of coffee. Dr. Yvette Perfecto: I became interested because I was in Costa Rica in the 1980’s when a big transformation was occurring. They were converting a lot of shaded plantations into monocultures and eliminating all the shade trees. BL: With chemical inputs and nothing but row upon row of coffee, these new “sun coffee” plantations grow more coffee, faster. So now, the inexpensive, big-brand coffee is all sun grown, while traditional shade-grown has shrunk to only a quarter of coffee acreage worldwide. Perfecto: We basically documented a very dramatic loss of biodiversity, with the transformation of the coffee plantation, with the intensification of coffee. BL: Dr. Perfecto says when farmers grow a diversity of trees above their coffee plants, a multitude of different insects and wildlife thrive. 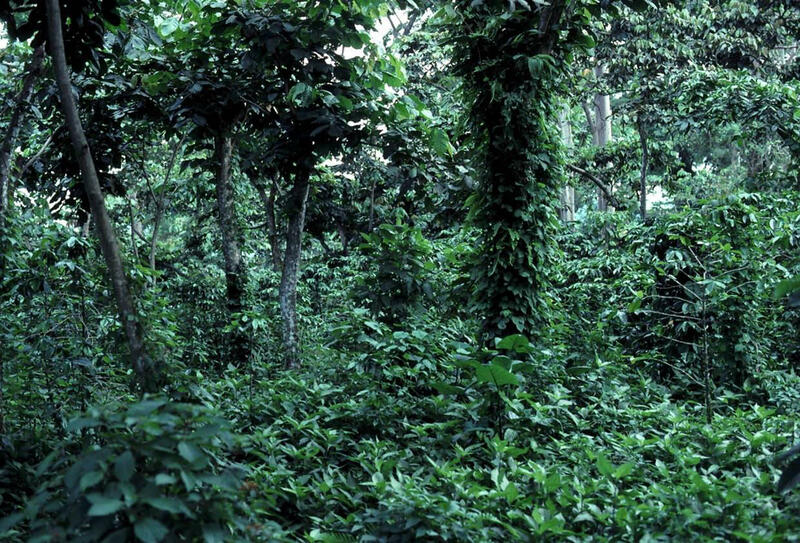 Preserving the trees becomes critical as forest is rapidly being cut down for sun coffee and cattle pastures. 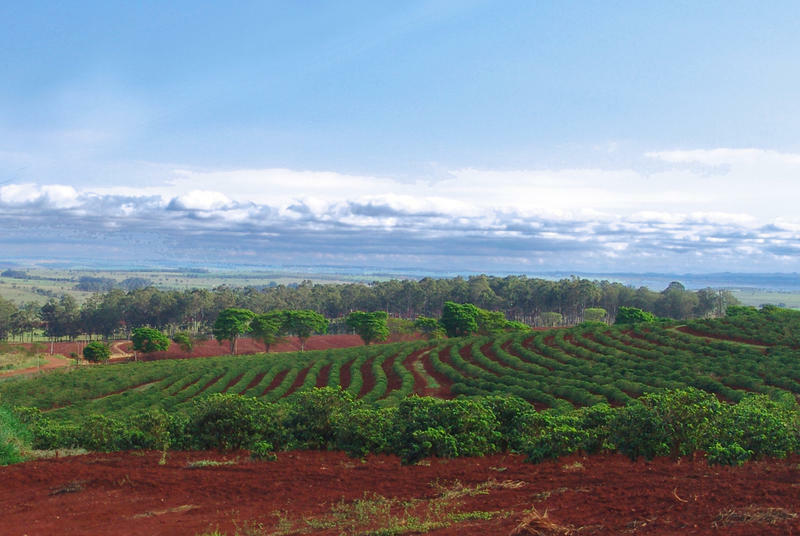 Perfecto: When you have a landscape that has been deforested, in many cases, the shade grown coffee plantations can be the only habitat that are left. BL: Why should we care about ecosystems in the tropics? For one thing, there’s a coffee-killing fungus called coffee rust that’s spreading, and could hike the price of our cup a Joe. Perfecto: Our study is trying to understand the ecology of the system: what are some of the natural enemies that can potentially control this disease? Perfecto: When you see this kind of seal, this tells you that this coffee comes from a farm that was certified by the Smithsonian. BL: Although other coffees may include some shade grown, with this seal it’s 100%. The stringent guidelines require stream buffers, leaf litter, a minimum 40% shade, and more. Perfecto: First it is organic, and second it has high diversity of shade trees that are beneficial to birds. Perfecto: A lot of those pesticides end up in the river systems, a lot of those fertilizers end up in the river systems. BL: Dr. Perfecto says the roots of the shade trees can reduce landslides, and their variety provides additional cash crops for farmers, so critical when coffee prices plunge. In fact, she says the benefits of “Bird-friendly” go far beyond birds. Perfecto: By basically having all these criteria, you create a very ecological habitat that benefits other organisms and the farm itself—the production. Birds of course have an appeal to a lot of people so they are great for raising the consciousness of about what's going on. BL: So here again, birds are canaries in the coal mine—signaling problems far beyond their own demise. Wildlife ecologist Dr. Douglas Tallamy is chair of entomology at the University of Delaware. 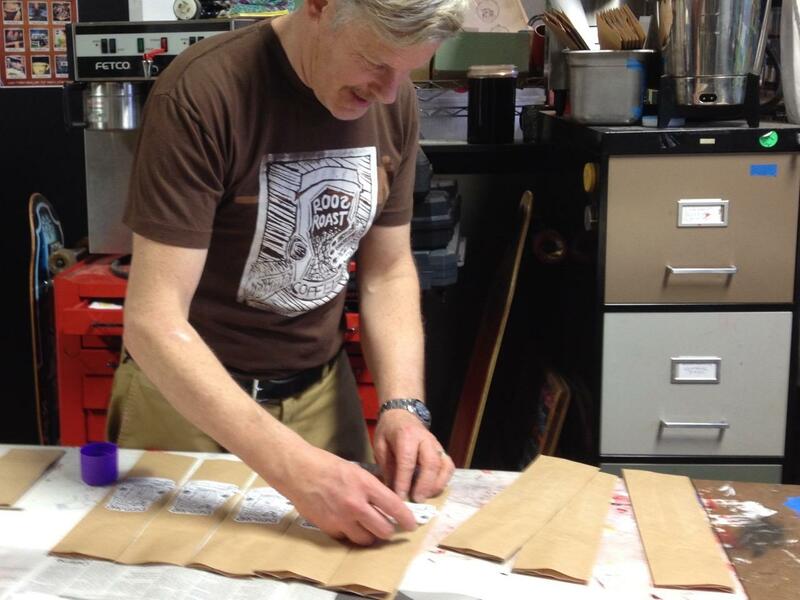 He’s studying the crucial importance of native shade trees within coffee plantations. So which birds are most threatened? Dr. Douglas Tallamy: There are three species that people focus on: the Cerulean Warbler, the Golden-Winged Warbler, and the Canada Warbler. Songs of the birds as he names them. BL: But he says there are hundreds more at risk. Tallamy: The whole Endangered Species Act has given us the idea that the only time we have to worry is if something is on Endangered Species Act, and that means it is reached a critical state of decline where it's almost impossible to recover. Right now we have 50% fewer songbirds that we had 40 years ago. BL: Half as many songbirds in only four decades? He says there are many reasons for the plummeting numbers. Tallamy: Cats are killing three billion birds a year and they're banging into windows, all kinds of things are happening, but their overwintering habitat is extremely important. It’s all about food. BL: And that food is insects—those that feed on the dwindling number of native trees left standing in shade coffee plantations. Tallamy: Sun coffee provides nothing for the birds. Absolutely nothing. BL: Northside Grill owner Jim Koli says they don’t serve shade-grown coffee, but might if enough people asked for it. Jim Koli: At Northside we push our suppliers. We made them bring on cage free eggs. BL: But it’s not easy. Because it takes more labor, shade-grown can be two-thirds more expensive. Koli: We’re not a coffee shop so we're not going to go through the huge volumes that might be necessary if we are going to diversify more. Waiter: Warm-up on your coffee? BL: There’s a joke that the world's largest coffee consumer is the sink. In a sense, that’s eco-impacts down the drain. But this may be changing. Back at Roos Roast, Weider and I discuss a trend to pay more, savor it, and waste less. She tells me about the “Third Wave Coffee” movement. Weider: The movement is about honoring the bean. Moving more towards a wine model for beans. That's why you have these fancy coffee tastings where they say it tastes like bacon wrapped dates, with a hint of lavender coated pecans, and orange zest, right? Laughs. BL: Obviously, there’s folks out there who’ll pay for taste. Will some pay to green up the planet, too? With over 150 city employees becoming eligible for retirement during the next year, the city of Ann Arbor is considering creating a workforce planning fund. 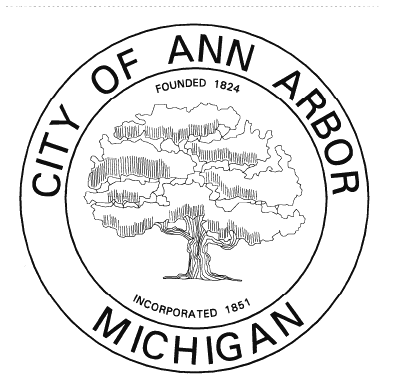 WEMU's Jorge Avellan reports on Ann Arbor preparing to replace retiring city employees. 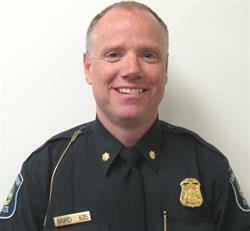 Ann Arbor has a new police chief. 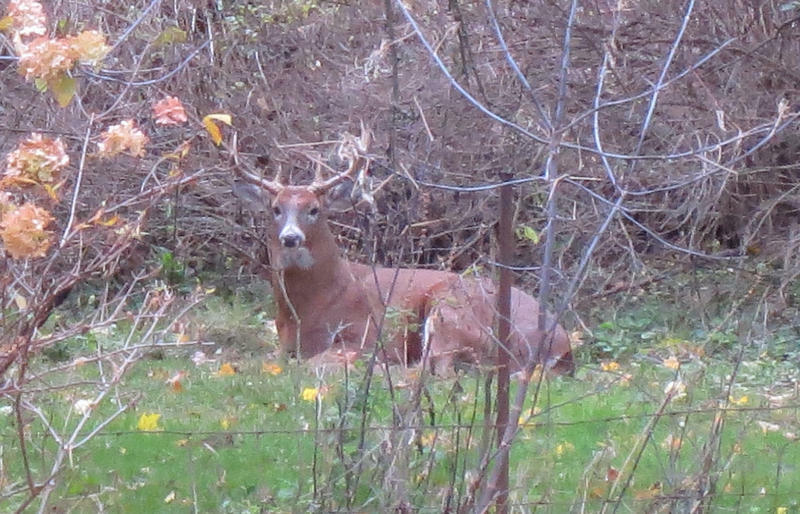 Ann Arbor’s deer population is now roughly around 202 animals, according to the results of a visual survey by city employees.